You are here: GeekSays Technology News » General » Qualcomm unveils the new Snapdragon 820 chipset! 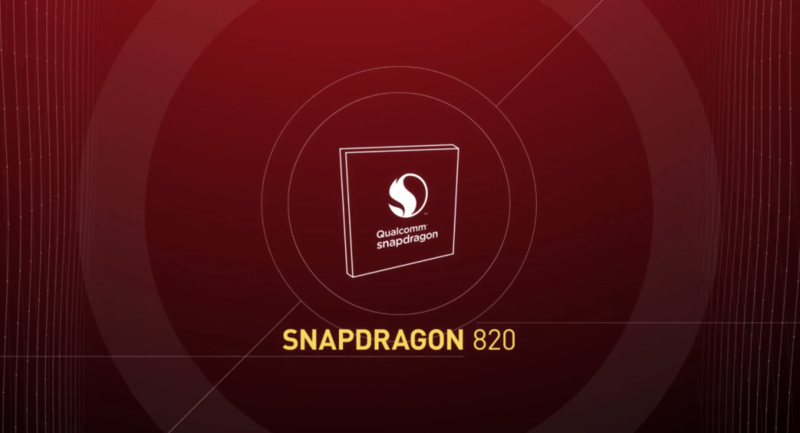 When the first rumors about this fall’s flagship smartphones started spreading, everybody was hoping to see the upcoming Shapdragon 820 powering as many as possible. Despite being one of the top players on the chipset market, maybe the biggest, Qualcomm dealt with a lot of criticism this year, after the Snapdragon 810 turned out to have some pretty serious heating issues. Obviously, everybody was looking forward to the next gen model, which was finally announced today. Will it be 2016’s best chipset? There’s no doubt that a lot of manufacturers will choose the Snapdragon 820 for 2016’s flagships and we can totally relate. According to Tech Times, Qualcomm revealed that the 820 is the first chipset to be developed using the 14 nm FinFET technology, sporting a custom-made 64-bit Kyro CPU. The new chip promises twice the performance and power efficiency of the 810, which, in our book, is a pretty serious statement. After all, it’s just a single generation between the two models, but Qualcomm is convinced that it will be able to deliver these numbers. Moving on, the Snapdragon 820 is paired with an Adreno 530 GPU, 40 percent more powerful than the previous 430, and an X12 LTE modem, able to provide download speeds up to 600 Mbps. As for the charging department, the chip comes with the new Quick Charge 3.0 standard, which is 38 percent faster than 2.0, found on the current top phones. Finally, the Snapdragon 820 will allow smartphones equipped with it to take even better photos, similar to the ones taken with a DSLR. Looking forward to see what this chip can actually do! Considering all these new upgrades and additions, we expect to see a whole new line-up of features at 2016’s flagships, taking advantage of the Snapdragon 820’s processing power an not only. It’s true, they will differ from manufacturer to manufacturer, but like the fingerprint scanner was a must in 2015, next year will also have some top features as well.